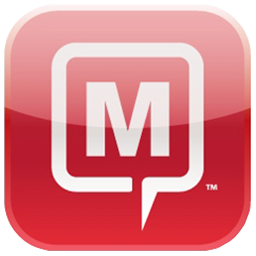 What if your business could stop email bouncebacks? Imagine the impact of everyone in your organisation using NXPowerLite. No more email bouncebacks. Files automatically reduced as they’re sent. Many customers like Nike Inc, have deployed NXPowerLite on every machine, achieving great results. Buying licences for your entire organisation can see the cost per licence dramatically reduce. We think you’ll be amazed by how cheap it is given the potential returns. We have made it easy for businesses to deploy NXPowerLite using standard automated tools like SMS. We have experience of rolling out NXPowerLite on over 10k of machines at a time. Files are often much larger than they need to be. NXPowerLite makes them smaller. NXPowerLite file optimization software attacks file bloat byeliminating any excess baggage and converting graphics to the most efficient file format and resolution. You're left with a file that looks and feels identical to the original, but is much smaller. Optimized files remain in their original format, retaining all their attributes and visual content integrity. Theydon't need to be unzipped and there's no need for special viewing software – so they can be opened and edited by anybody. NXPowerLite can optimize PDF files, JPEG Images and Zip Archices by 96%. 'Visual content integrity' means optimized files look identical to the originals in every way. They also retain all of their original attributes and functionality. Using NXPowerLite's default settings, there is no visible difference between the original and optimized version of a file. The optimized version is just much smaller. Neuxpower's primary development focus is to ensure the visual content integrity of all files. Our testers optimize many thousands of files and carefully check the results – so you can confidently reduce file sizes without concern for impairment. When you Zip large PDF, Microsoft Office or JPEG files, you often don't get much more than 10% reduction. 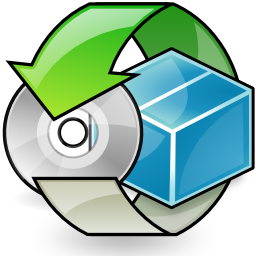 NXPowerLite has focussed on reducing these specific files, so often it can reduce the same file by 80% or more. If you already have a ZIP compression solution in place, NXPowerLite can be used alongside it. Optimizing a compressed file (or compressing an optimized file) will often make the file even smaller. NXPowerLite can shrink PowerPoint, Word, Excel and JPEG files stored within standard ZIP archives, so it doesn’t matter whether you optimize or compress first. This means NXPowerLite can work in harmony with your existing ZIP compression tools and compressed files. PDF is an incredibly popular format. According to Google, it's the most common file type on the Internet. 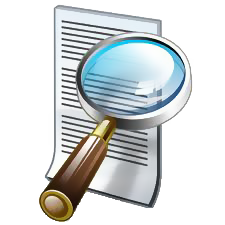 But many PDF files contain unnecessarily bloated elements and large chunks of irrelevant data inserted by the software that created them. 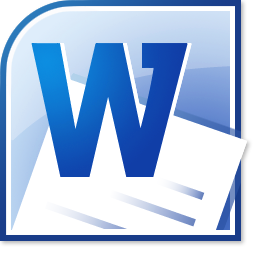 NXPowerLite can now remove bloat and redundant data from PDF files, compressing them by an average of 30-50%. 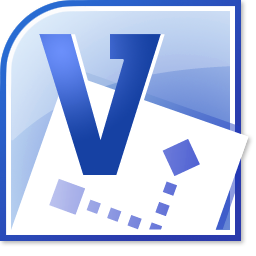 NXPowerLite can now compress files created using the latest version of Microsoft Office. A lot has changed 'under the hood' in Office 2010, and NXPowerLite has been optimized to make the most of these changes. We've tested NXPowerLite with thousands of Office 2010 files, to ensure that they are as small as possible and look identical to the originals. 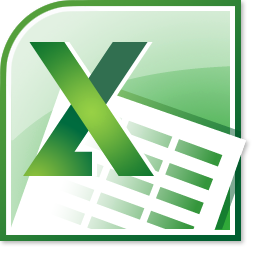 NXPowerLite is also fully integrated with Office 2010 applications (32-bit), so you can compress your files within PowerPoint, Word or Excel 2010. Since NXPowerLite was first released in 2001, computer screens have got bigger and better. So we've changed NXPowerLite's default settings* to reflect today's higher resolution devices. Now, you can be sure that your compressed files will look amazing, no matter how large your screen is. Older versions of NXPowerLite cut JPEG file sizes by reducing their physical dimensions. NXPowerLite can now compress JPEG files without resizing – so your files get smaller, not your images. NXPowerLite is now available in twelve languages**. So now even more people can reduce the size of their Word, Excel, PowerPoint, JPEG and PDF files, wherever they are in the world. ** Currently supported languages: Brazilian Portuguese, Chinese (simplified and traditional), Dutch, English, French, German, Italian, Japanese, Korean, Portuguese, Russian and Spanish. NXPowerLite can shrink giant files by up to 95%*. Its magic powers will mean all of the email attachments that once bounced back now get delivered every time. It's really easy-to-use, your original file stays the same, NXPowerLite just creates a new version that's lots smaller and still in the same file format. So a PDF stays just that a PDF, it just becomes a compressed PDF. Large files contain a lot of unnecessary data, stuff like meta data and fast save information, so NXPowerLite removes anything not needed to open the file. 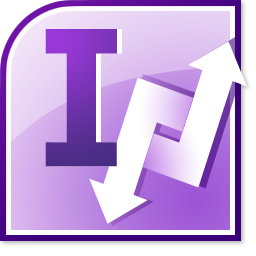 Your files stay in the same format and look and work exactly the same as the original. NXPowerLite will also work its magic on any images in the file. It'll save them in the smallest file size without removing any of the quality. 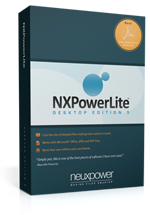 Download your 30-day free trial of NXPowerLite Desktop Edition! "NXPowerLite can often reduce a PowerPoint file down to 5% of its original size, usually with no discernible reduction in image quality. Thanks for a great product!" "We recommend NXPowerLite for File Servers as the perfect solution for IT administrators struggling to find investment for infrastructure. The time spent installing and evaluating NXPowerLite was worth every second." You want to control the rate of storage growth. Your backups are taking too long. You're running a data migration project. You don't have the budget for more storage and are running out of space. Denso’s backup window had started to overlap with the next business day, and they needed to fix this issue, but they wanted to avoid a costly and time-consuming upgrade process. By permanently reducing data on primary storage, you also reduce the amount of data that has to be backed up, ensuring shorter backup windows. Sumitomo Electrical Wiring Systems, were running out of storage and had no capital budget to expand their capacity. So they used NXPowerLite for File Servers to reclaim existing storage and extend the life of their hardware. They managed reclaimed close to 40% of their existing storage at the UK headquarters. NXPowerLite can be configured to run regularly, ensuring that as new data is added it is automatically reduced. Antelope School District in California managed to reclaim almost 40% of their storage, and continue to run the software monthly to reduce new files. Our evaluation mode will scan all the files on your server telling you how much space you can expect to save. 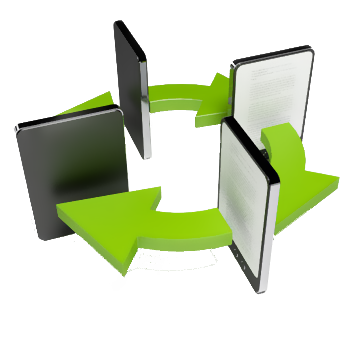 It doesn't replace any of your existing files it copies each file, reduces it, and calculates the difference in size before discarding the copy. No files are replaced while running NXPowerLite in evaluation mode. We’ve been making our software for over 12 years now and have close to 2 million customers worldwide. 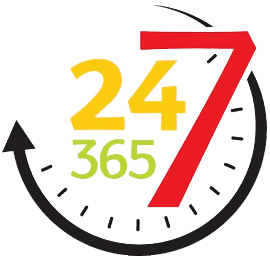 Our list of customers is particularly impressive; the UK MOD have close to 250 of our File Server product. So you can be comfortable that our software has been thoroughly tested before it comes to you. "Users are unable to tell the difference between the original and optimized version of a file. There's not been a single IT support call about optimized files." What makes NXPowerLite THE solution for defence? 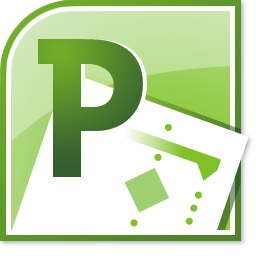 NXPowerLite Desktop Edition dramatically reduces the size of Word, Excel, PowerPoint documents, PDF’s and JPEG’s. Smaller files cost a lot less to send over a satellite network. It integrates with email clients, so users don’t have to think about reducing the size of large files. This eliminates email bounce/kickbacks. When NXPowerLite works its magic on a file, the file stays in exactly the same format. Military reports stuffed with images are always going to be difficult to send by email. 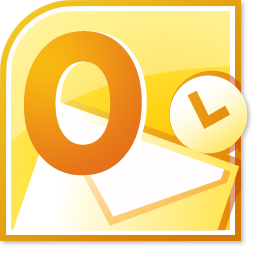 Mailbox and attachment limits prevent people from sending and receiving these important files. Long after sending, these files also need to be kept somewhere secure, deleting them isn’t an option. Again there’s a cost when it comes to storing data. Our File Server product also does a great job of reducing the size of PDF’s, MS Office files and JPEG’s. All those important documents can stay in the same file format, on the same server but importantly take up less space. We know how important testing our software is for our defence customers. We offer a special 90 day trial on 50 machines and extra help and support to make sure you get the most of your trial. Contact us at sales@unitedaddins.com to arrange such an evaluation. Used by over 300,000 military personnel worldwide, our technology has been thoroughly tested and accredited by some of the world’s largest/leading military organisations. People in the military have been our customers for nearly 10 years know, we know our technology solves their problems. NXPowerLite Desktop Edition currently meets US DoD Technology Readiness Level 9 – Actual system proven through successful mission operations. NXPowerLite for File Servers currently meets US DoD Technology Readiness Level 8 – Actual system completed and qualified through test and demonstration. NXPowerLite Desktop Edition appears in the US Air Force ACC (Air Combat Command) Enterprise Products List. It has been approved for HAFnet and staffed to E/APL. NXPowerLite Desktop Edition 5 has been awarded a Certificate of Networthiness (Cert# 201210189). It also appears in the US Army COTS (Commercial Off The Shelf) approved software list. NXPowerLite Desktop Edition appears in the US Navy DADMS (Department of Navy Application and Database Management System) database and has been accredited for use on US Navy CENTRIXS networks. It has been approved for use on NIPR and SIPR networks. NXPowerLite Desktop Edition is NMCI accredited for use on US Navy and Marine Corp networks. NXPowerLite Desktop Edition has been approved for use on coalition naval networks (Australia, Canada, New Zealand, UK and US). NXPowerLite Desktop Edition appears in the NATO ASPL (Authorized Software Product List) and has been accredited for use on NATO networks. NXPowerLite Desktop Edition is registered with the Central Contractor Registration (CCR) - the primary registrant database for the U.S. Federal Government. CCR collects, validates, stores and disseminates data in support of agency acquisition missions. NXPowerLite Desktop Edition appears in the Atlas DII/F (Defence Information Infrastructure) approved software list. Neuxpower is an approved member of ADS, the trade body advancing UK AeroSpace, Defence and Security industries. ADS also encompasses the British Aviation Group (BAG), Association of Police and Public Security Suppliers (APPSS), the Defence Manufacturers Association (DMA) and the Society of British Aerospace Companies (SBAC). NXPowerLite ensured that email attachments were automatically optimized as they were sent, reducing total email storage in the UK by more than 85%. By regularly using NXPowerLite Amway Japan has managed to keep the volume of storage used at the same constant level for 3 years. The High School District used NXPowerLite to reduce occupied server storage by 30-40%. All Presales Engineers now use NXPowerLite to optimize their proposals before sending them to customers. As well as reducing the amount of data to be migrated by one third, the group also expects to achieve significant savings in managed backup costs, as well as improved employee efficiency. Employees love NXPowerLite because it's so easy. The software is now routinely used to optimize files prior to transmission and has been found to drastically reduce their sizes. The usage of NXPowerLite during the nine months of deployment in Kabul was a huge success, to the extent that all staff now routinely accept the requirement to optimize their files using the software before delivery. Westminster Services initially set NXPowerLite up to only optimize Microsoft PowerPoint files – as these accounted for a large proportion of the data being stored. 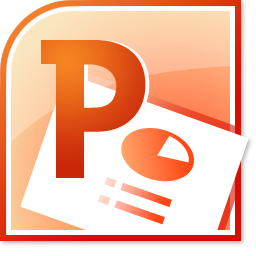 The storage consumed by PowerPoint files was immediately reduced by 80%. For vulume licensing we offer attractive discounts. Please contact us at sales@unitedaddins.com.